Amelia Terry is a Sophomore at Oneida High School. She maintains a 4.0 GPA while also playing on the school's soccer team. Outside of school, Amelia plays competitive soccer with AYSO United, is involved in her community theater, volunteers at her church, First United Methodist of Oneida, and is a member of STAND, a youth service learning initiative. 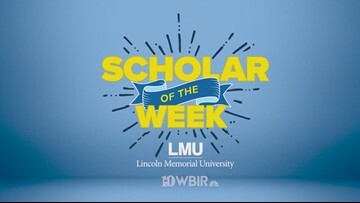 LMU and WBIR want to celebrate her accomplishments and contributions to the community!